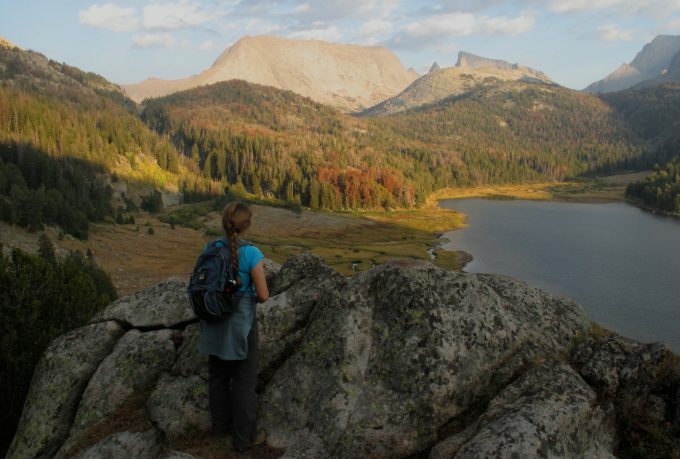 What you wear when you’re out in the wilderness plays a huge role in your general well being. A good choice of clothes will ensure you remain comfortable, safe and can prevent injury or illness. When covering many miles on foot, you need to know your legs are well protected and can handle whatever is thrown at them. 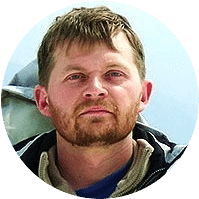 You can never be absolutely certain what the weather will do, or what the environment might surprise you with, so it’s worth investing in clothes that are adaptable. 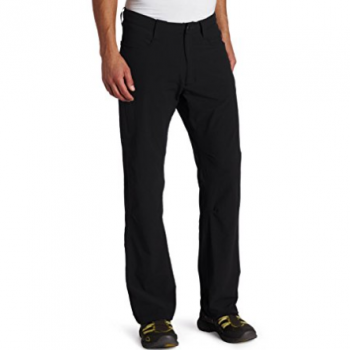 Quick dry pants are a great choice and will ensure your legs don’t stay wet, whatever the weather. Read on to discover some of the benefits of these pants and what the best quick dry pants are made of. Finally, we’ll take a look at eight of the best quick drying pants on the market at the moment. A good pair of hiking pants is packed full of useful features to ensure your hike is as comfortable as possible. Besides comfort they must be practical and will often utilize a number of sturdy, spacious pockets, allowing you to keep your valuables and equipment safe. When it comes to quick drying hiking pants, you get all of these benefits, plus a few bonuses. The vast majority of quick dry pants work by quickly and effectively wicking any moisture away from your skin. As such, the materials are generally fully breathable to allow excess water to escape quickly. This has the added benefit of wicking away any sweat throughout your hike, resulting in a more comfortable pair of pants. There’s a far smaller risk of chafing, the odor is improved and your comfort levels rise dramatically. 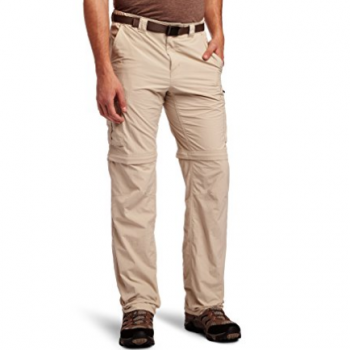 Most quick dry pants are made from a fairly lightweight material, making them ideal for hot conditions. They’re easy to move about and most incorporate stretchy materials to allow for more exaggerated movements, ideal for climbing and bouldering. Being lightweight, they also pack away smaller and due to the materials used, will generally not wrinkle – perfect for traveling. 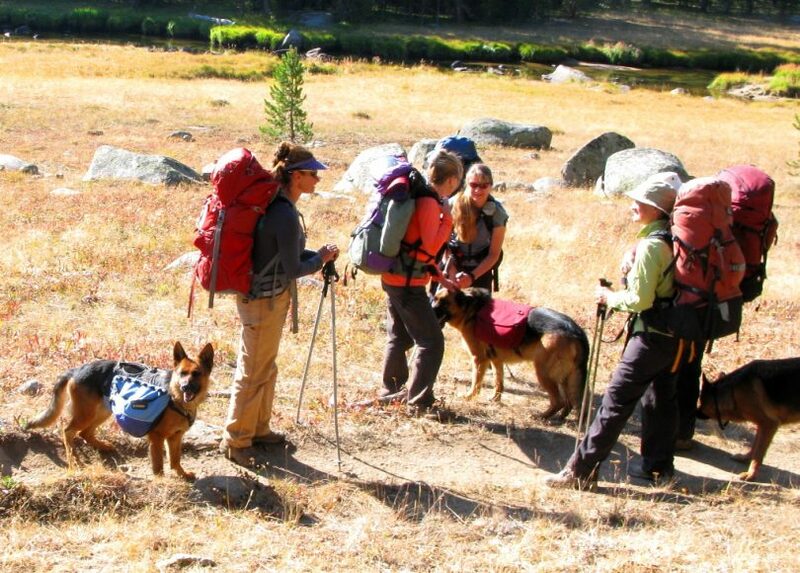 With the ability to dry quickly, the chances of getting dangerously ill while on the trail are vastly reduced. Soaked clothes can become a killer if things go wrong, especially as temperatures drop overnight. Wet fabric against your skin will leech any remaining heat you have left in your body, which under dramatic circumstances could lead to hypothermia. Quick dry pants are generally easy to wash while in the wilderness and can be cleaned with cold water alone if nothing else is available. The best part is they will be dry by the morning and ready for another day. Most quick-drying pants are made of synthetic materials. These generally allow for far superior moisture wicking qualities over their natural counterparts. Wool is generally considered the best natural moisture wicking material, but even this pales in comparison with modern materials. Merino wool will dry far quicker than cotton, and even normal wool, but still not as fast as a synthetic material. The advantage is that it will kill most sweat odors, while synthetics can begin to smell a bit after a while. Many people are a bit put off by synthetics, but modern blends are created to offer comfort, practicality and durability. Nylon and polyester are typically used as both are non-absorbent. The fibres, which are thin near your skin and thicker outside, pull moisture away and out to be evaporated. Synthetic materials can also be easily treated to be water and wind resistant. Special techniques also allow for “ripstop” technology to be incorporated, creating a material that is also resistant to abrasions. The best of both worlds, blends between natural and synthetic have all the moisture wicking prowess of synthetic materials, plus the odor reducing features of more natural materials. Cotton and polyester is common, though merino wool is also used in blends from time to time. Enjoying fantastic feedback, the prAna Zion Convertible Pants are a popular choice for hikers, rock climbers, and other outdoors people. They’re comfortable to wear, with enough stretch in the material to allow for squatting and crouching comfortably. The material is moisture wicking and fairly breathable, and for additional breathability, there are inseam vents. The material is durable and will generally stand up to a fair amount of abuse, though in some rare cases they have worn within a week. They will wick away small amounts of water, a light rain, and splashes, but will not stand up to a downpour. However, many hikers have commented that they were able to soak the pants and they dried out very quickly. There are eight pockets in total, however, some users have commented that they are a little bit too small. The ability to remove the lower part of the legs to create shorts is useful in hot climates, though some people say the shorts are a little bit long. 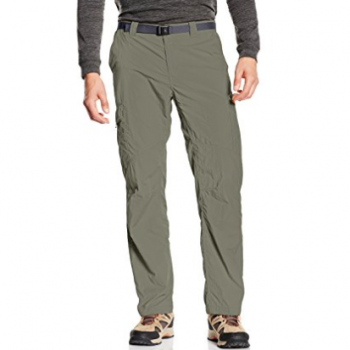 While at the end of the day, these are hiking pants, a lot of people who own a pair don’t limit their use to hiking, but also use them for everyday activities. All in all they’re an excellent pair of pants that receive overwhelmingly good reviews. 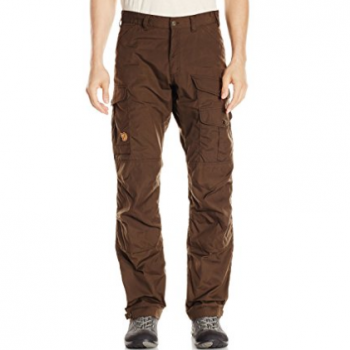 The Outdoor Research Ferrosi Pants are fantastic for a wide range of uses. The material is tough enough to resist tearing or ripping easily and is also wind and water resistant, as well as breathable. They will certainly keep a cold chill at bay, with the wind resistance working extremely well. Indeed some users have used these on winter hikes and have remained warm and dry. The water resistance is also fairly good, though they will soak through once submerged or during a heavy downpour. On the plus side, they don’t stay wet long and within a few minutes you’ll have forgotten that they were ever soaked. 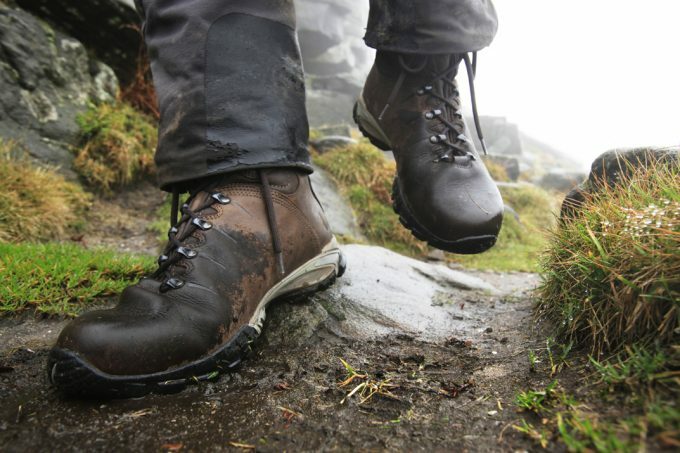 They’re fantastic for mountain climbs and any hikes where the temperature and conditions might change. They do an excellent job of keeping your legs cool and sweat free while it’s hot, and while it’s cold they will keep you warm. 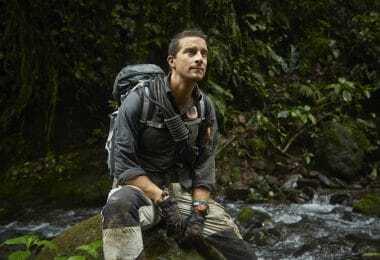 Even in highly humid areas, these pants are breathable enough to remain comfortable. The material is comfortable to wear and stretchy enough to allow free movement, making them great for climbing. The fit is a little on the tight side for most people, though other than looks, this isn’t a major problem. The only other criticism is the size of the pockets, which are a rather small. 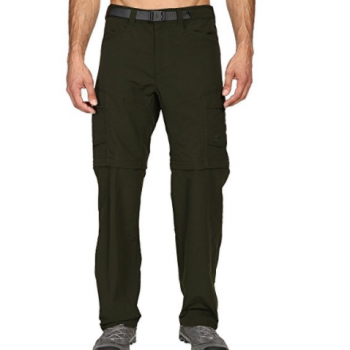 Made from tough, midweight materials, The North Face Peak Li Pants are certainly durable. Happy customers report putting these pants through the paces and wearing them year after year. The water resistant finish holds up well to heavy rain and will keep all but the worst of downfalls at bay. Once wet, they will dry remarkably quickly, without feeling heavy at all. The bottom of the legs unzip, allowing river crossings or the chance to cool down in hotter weather.n One minor criticism is that the shorts are a bit long, however, most people are happy with the length. While these pants are breathable they can feel a little warm in very hot weather and are perhaps not as breathable as a lightweight pair. The fit is snug without being too tight for the majority of people, though they do tend to run a little large. It’s well worth checking the size guide before purchasing a pair. They look good as well and a large number of customers wear these pants for work or everyday use. 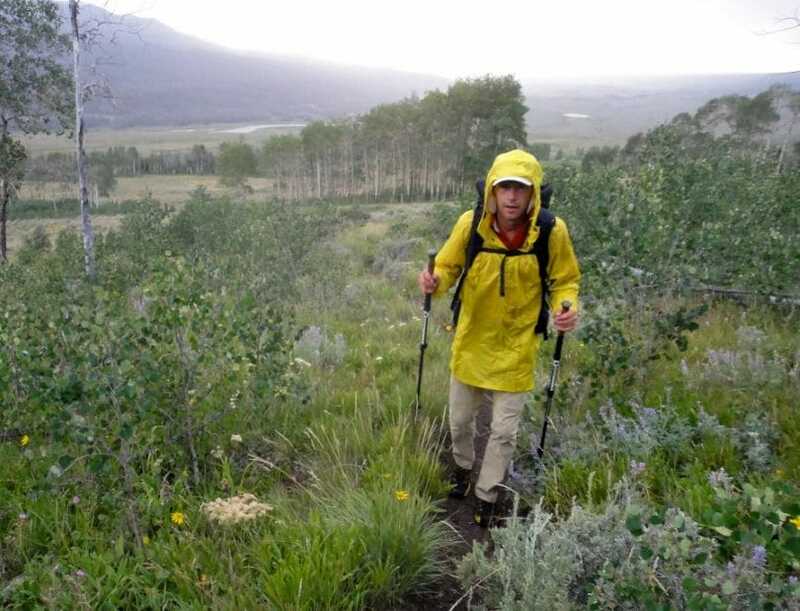 Receiving mostly positive reviews from hikers, fishermen, and anyone else active, the Columbia Silver Ridge Pants ants are great for summer use. The material is rather thin, which means they might not keep the chill off on colder days, but in the sunshine, they’re fantastic. They’re ultra breathable ensuring your legs remain sweat free, but on the flip side, they’re not very water resistant. Fortunately, they dry very quickly and if you get caught in a shower, it won’t be long before you’re dry again. 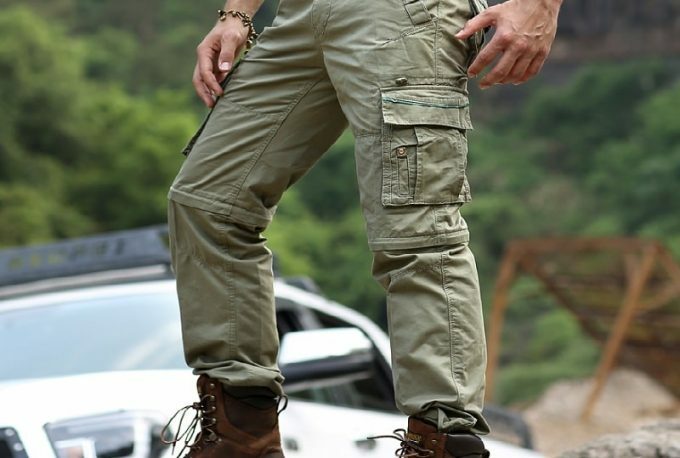 For the majority of users, these pants hold up well to abrasions, though some have had issues with durability, claiming the stitching has come apart within a few months. For exceedingly hot days, the shorts are a nice touch. They’re labeled for ease and unzip quickly and easily. The waistline is slightly elasticated, though they come with a free belt as well. The belt is not of the highest quality, however, and many prefer not to use it. The biggest criticism is the fit, with several users complaining that the sizes run too small. Even positive reviews have commented that they can be a bit tight and restrictive, especially in the groin area. With this in mind it’s worth ordering a size up. On the whole, the reviews are positive and for the price, these are an excellent choice for summer. 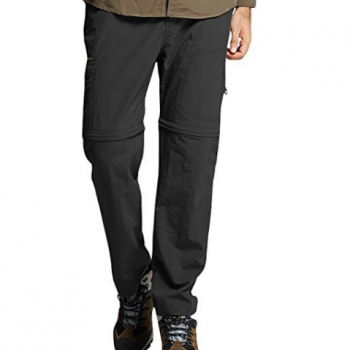 These Swedish brand pants combine tough, reinforced materials with a number of useful features to create an excellent pair of hiking pants. The Fjallraven Vidda Pro Pants are water resistant as long as they’re kept waxed, which can become a bit of a chore. With the wax on, the material is a little bit stiffer than normal and the pants are less breathable than other options. Having said that, they will repel all but the heaviest downpours and have excellent wind proofing capabilities. They are great for hiking in cooler weather and even snow as they will keep the cold and wet out as long as they’re properly treated. The ankles are adjustable, allowing you to cover your boots securely. The pants feature seven useful pockets of varying sizes and functions. 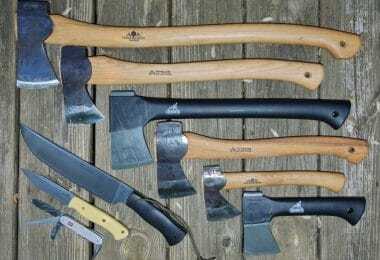 For example, there’s a map pocket, one that is tight for valuables and even one for your axe. There are no rear pockets, however. As a Swedish company, the sizes are different and require a little converting, however, they have a useful size guide. There are few criticisms, though some have noted that you have to take a bit of a gamble on the size as there is no option for length. The Quick Dry Convertible ZB02 Pants receive mixed reviews from the online community, with a more or less equal amount of positive, negative and mediocre feedback. Firstly they do what they’re intended to do rather well and dry very quickly. They’re also very breathable and don’t leave an odor, making them great for warmer weather. The water resistance is not fantastic, but due to the fast drying time, this is not likely to be too big of an issue, unless you’re caught out in a downpour for several hours. The material is stretchy, but some have commented that it can be a little itchy against the skin. The main complaint, however, is the sizing. Since these are a Chinese made brand, the sizing is a little different. Even following the guide many people have commented that the pants run small and can be tight. The fit is also a bit peculiar in some instances, with excess material at the front. The legs do zip off but are so low that you’ll be wearing capris rather than shorts. They’re able to take a bit of a battering, but long term durability is questionable. At best, these are a good backup option or a pair of pants for messing about in. 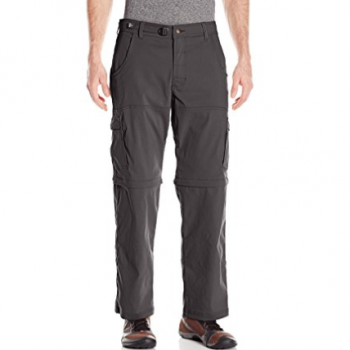 These comfortable, lightweight cargo pants enjoy mostly positive feedback from hikers. The Columbia Silver Ridge Pants are breathable and will wick away the worst sweat keeping you cool and comfortable in hot weather. Many people have commented that they wear these pants year round, wearing thermals underneath over winter, making them great for most activities. While the material may seem thin, they are well constructed and resistant to all but the worst abrasions. The fit is a little tight for some people, especially in the upper area, preventing totally free movement. However, the majority of people are happy with the fit and the ease of movement allowed. There are several sturdy mesh pockets allowing you to carry all you need for your person. Some critics claim the pockets are a little small or tight, though this is not the general consensus. In general, these are fantastic pants, but for anyone with chunkier legs, it may be worth ordering a size up to prevent tight spots. With rave reviews from hikers, campers and just about anyone else, the prAna Stretch Zion Pants are suited to more or less any outdoor activity. The lightweight material is stretchy, breathable, water, wind and abrasion resistant and holds its own against the elements. Indeed, it has lived up to the expectations of many reviewers who have found the pants both immensely comfortable and practical. Used over a range of conditions and environments, these pants have received very little criticism. The water resistance will wear off over time, however they can be easily retreated. They’ll take rain showers and splashes, though heavy downpours and full submergence will soak them. Fortunately, the drying time is very quick. The pants are stretchy enough to allow the exaggerated movements common in rock climbing or bouldering while being sturdy enough to not slip.For muddy sections or river, they can easily roll up and be secured in place with snaps. They’re a durable pair of pants that are obviously built to last and many reviewers have owned their pair for many years. The fit is on the whole pretty good, though some recommend ordering a size up. This is mainly true for those with more muscular legs, as they can feel a little bit tight around the thighs. There is an inbuilt waist adjuster, so if they’re a little bit big, you can normally get them to fit without an issue. 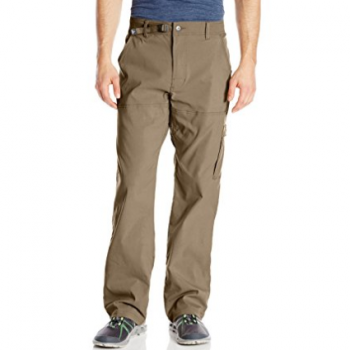 Quick dry pants are an essential addition to the wardrobe (or backpack) of anyone who spends a lot of time outdoors. Whether you’re hiking, cycling, climbing, fishing or hunting, the comfort offered paired with the practical elements will ensure you’re happy with your investment. If you plan to use these pants a lot, it’s well worth investing in a high-quality pair that is built to last. Always ensure a good fit before buying, as even the best pants will cause problems if they’re ill fitting. All in all, most hikers would do well to consider a pair of quick dry pants, as you never know what might happen on the trail. So if you’re currently going into the wilderness in jeans, stop! Get a pair of quick dry pants and be amazed at the difference.